In a heavy sauce pan bring cream to a boil. 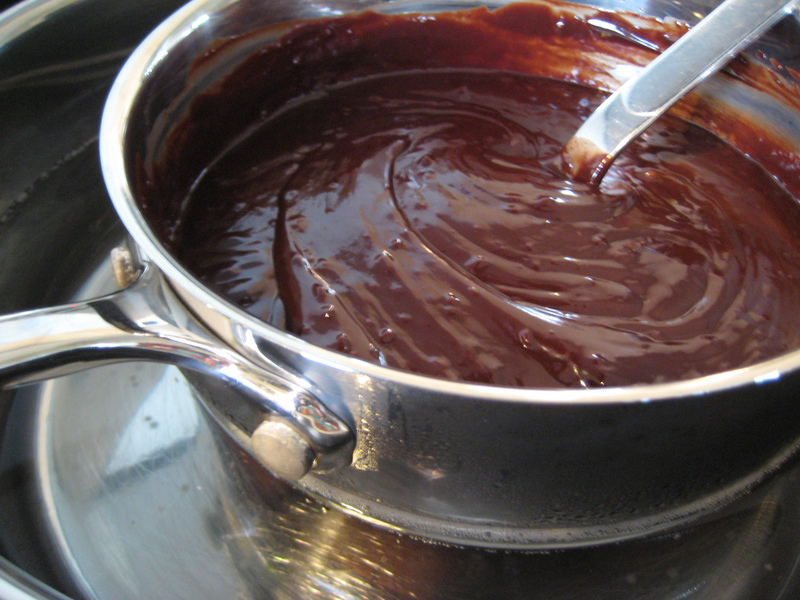 Pour cream over chocolate pieces while stirring to melt and blend chocolate with cream until the mixture is dark and shiny and completely blended. Stir in pecan chips, then remove from heat. Let stand at room temperature until thickening, about 1 hour. 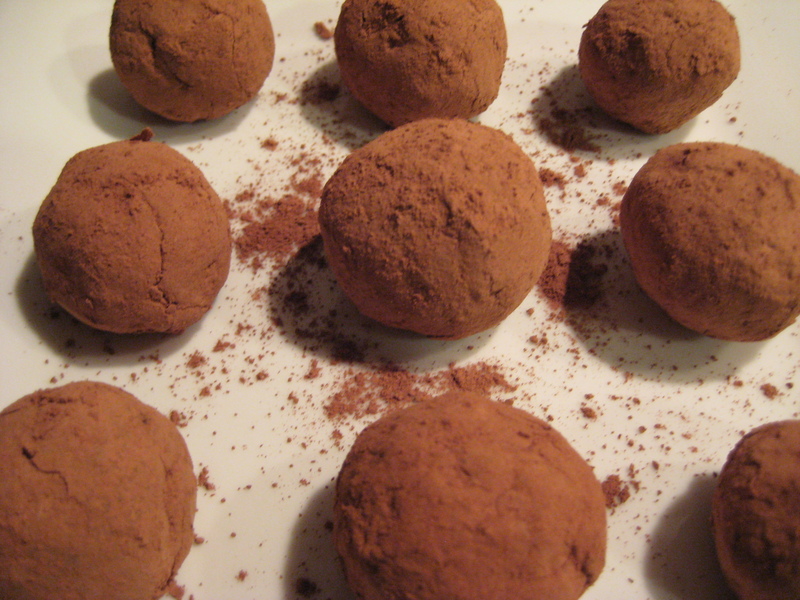 Place the truffle mixture in to a refrigerator for an hour or so, until you are able to roll a ball shape. 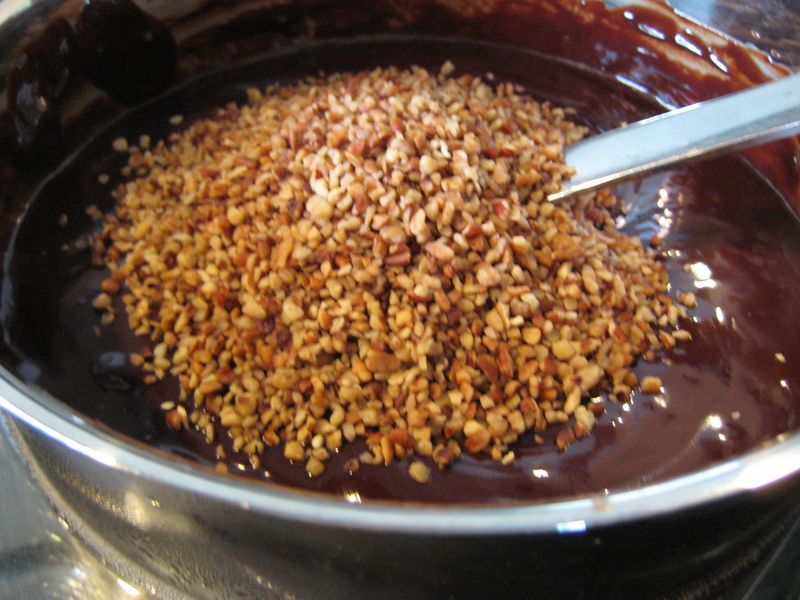 Scoop spoonful amounts of the chocolate mixture in to a bowl of the cocoa powder. Gently roll the chocolate between cocoa powdered palms to form a round powdered ball. Place on parchment paper or plate. Roll a second time in cocoa powder. Serve at room temperature. Makes about 40 truffles.